My family loves having movie nights, and as the holidays get closer, we get together a lot more often! This weekend, we’ll be hosting a movie night and watching the new Ghostbusters movie (see the trailer HERE)! 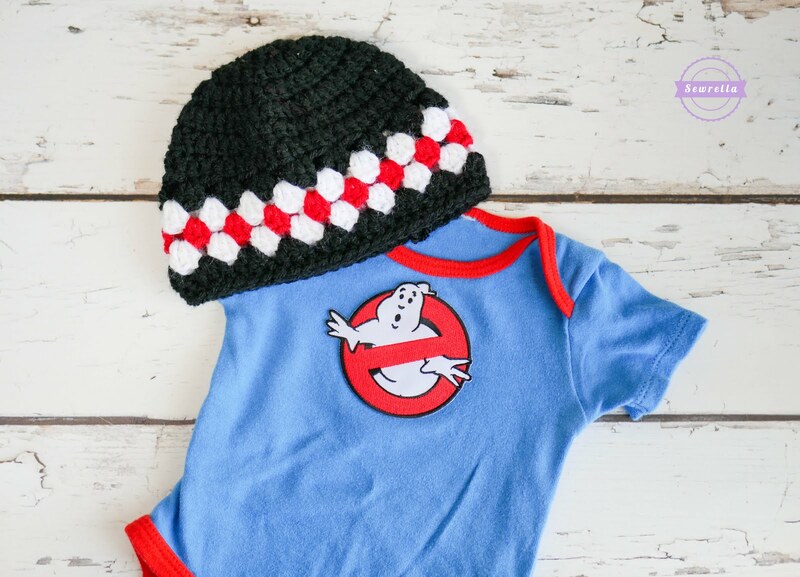 So naturally Parker needed a cute little Ghostbusters outfit for the special occasion. You do too?Oh, I feel so much better! 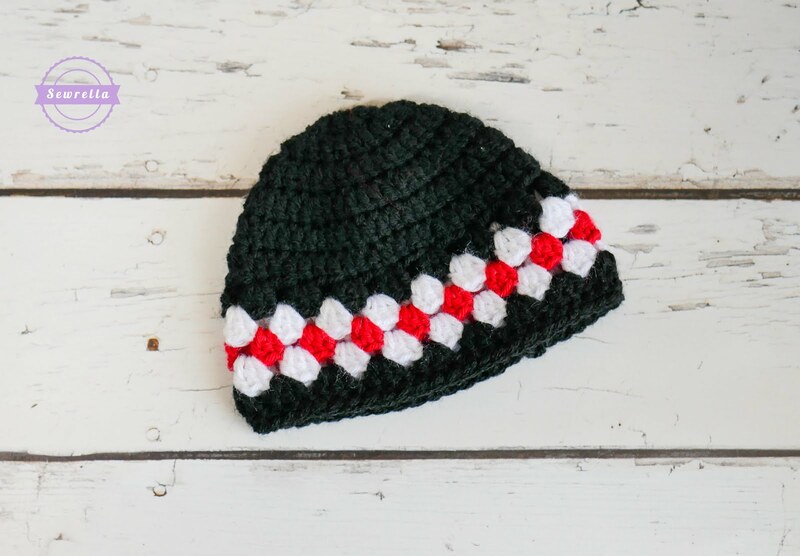 This cute little hat is quick and easy to make, using the granny stripe stitch and some fun color changes. 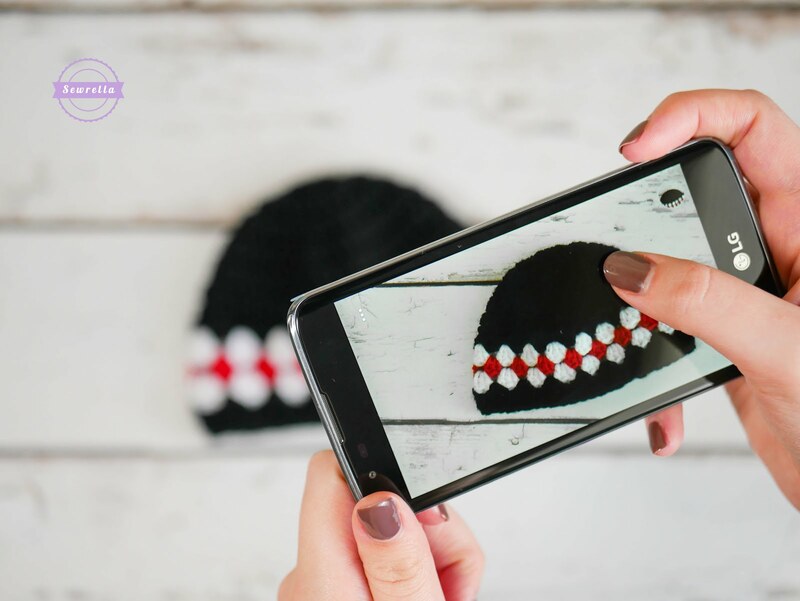 It would be perfect for any occasion in any color combination. I’ve also included all sizes newborn-child below! For the onesie I found some easy iron-on Ghostbusters patches on Amazon and applied one to a plain onesie – too easy! And voila, a movie night ensemble is complete! I think it’s safe to say Parker will be wearing this getup again until Halloween, it’s just too cute not to! Round 16: Sc in each around, join, finish off (64)Now we are all ready for our Ghostbusters movie party! I picked up my Extended Edition Blu-Ray copy of Ghostbusters at Walmart because their version was the same price as other stores and came with 15 minutes of footage not seen in theaters and over 3 hours of hilarious bonus footage! Can’t beat that! They also have the DVD and 4K Ultra HD versions available. While I was at the Walmarts I stopped by the Walmart Family Mobile display because I noticed they have a new promotion – a free VUDU movie every month with their PLUS plan! By signing up for the plan you already get unlimited talk, text, & data which includes up to 10GB of 4G LTE for $49.88 (perfect for all that Pinterest surfing I do), but now you get a free movie on VUDU every month ($7 value) per line too! Now I can host my movie nights at home for FREE! I’ll just use that free VUDU movie and Chromecast it to my TV. That’s what I like to hear, folks. That’s money in the yarn budget! 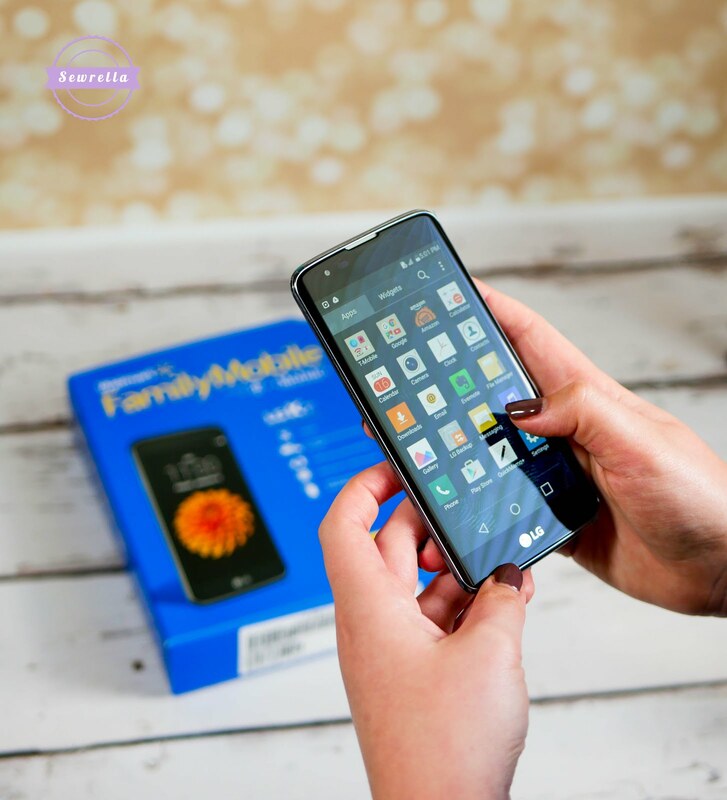 All of this was music to my ears, so I went ahead and signed up – my out of pocket was really low compared to other prepaid carriers – only $19.88 to get started with the Nano Starter Kit. I got the LG K7 phone because it was on Rollback for under $49.88, down from about $89.88! Cha-ching — more money in the yarn budget! Soon I’ll be able to afford some serious shopping with all this money being saved, just don’t tell the hubs. Any signups during the month of October will also get you a free Ghostbusters virtual reality experience (a magical experience giving users the unique experience of firing a proton pack and looking at ghosts straight in the eye) which the kiddos will get a big kick out of. You can find out a whole bunch more about this Ghostbusters experience and the Walmart Family Mobile systems at one of their in-store events, there are some great people there to help you! There you can learn how to activate new lines at these events, as well as get information on the plans, and a Plastic 3D Hologram. Check out the Walmart Family Mobile Hub page to find an event in your area where you can access all these features! How will you put on your own Ghostbusters movie night soon?